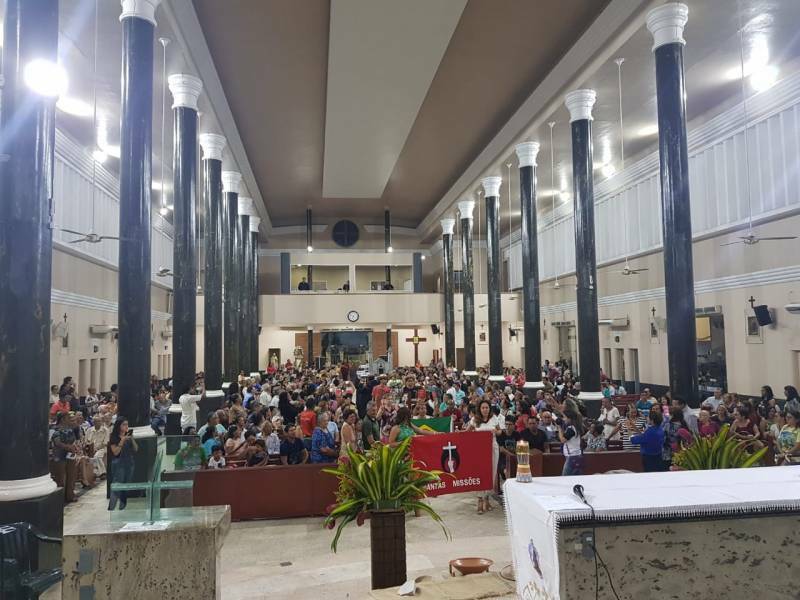 (Manaus, Brazil) – A festive Eucharist celebrated on Sunday 22nd July at the Shrine of Our Lady Aparecida of Manaus, was the final moment of the week of commemoration and gratitude for the 75 years of the Redemptorist mission in the Brazilian Amazon. In addition to liturgical celebrations, there was also a “Cantata de San Alfonso”, in the historic Amazonas Teatre, and a concert by the Raíces Caboclas Group, one of the best representatives of Amazonian religious music. 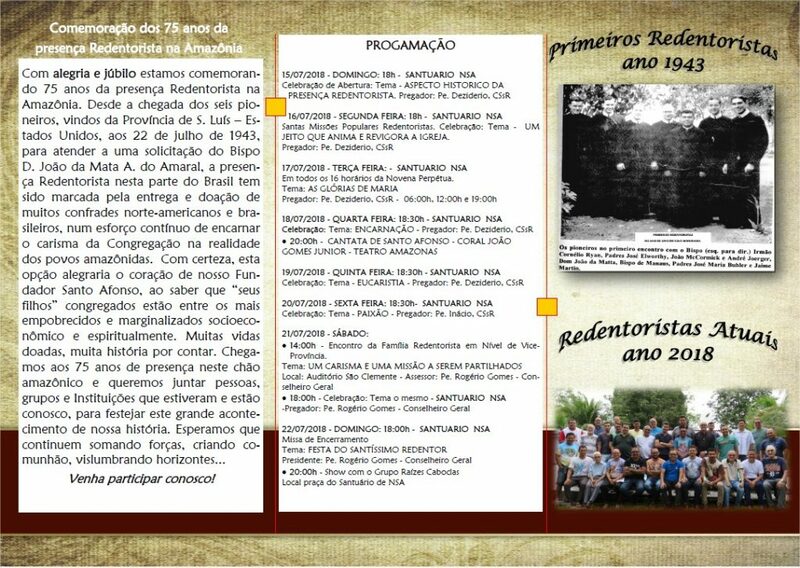 The first six missionary pioneers arrived in Manaus on 22 April 1943 from St. Louis, in the United States, in a “continuous effort to incarnate the charism of the Congregation in the reality of the Amazonian peoples”, as Father Ronaldo Mendonça de Oliveira, Superior Vice-Provincial of Manaus pointed out to Agenzia Fides, at the end of the celebration. 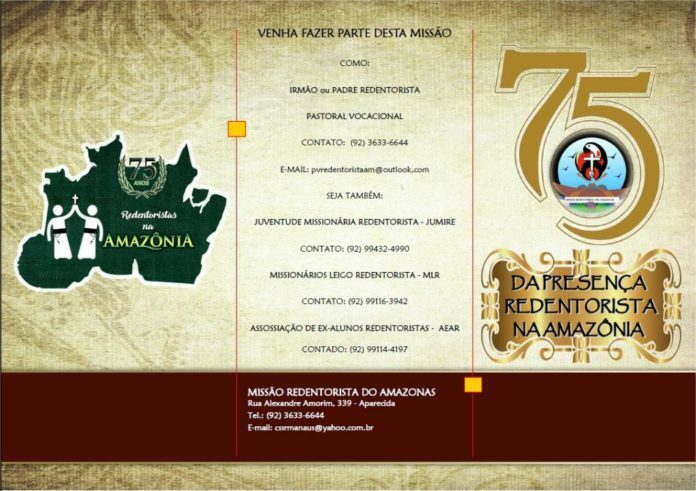 From the capital of the state of Amazonas, the Redemptorists went up the river Solimões, forming communities in Manacapurú, Codajas and Coarí, went down to Belem, and then reached the state of Bahia. 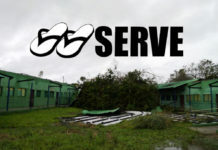 The religious confirms that the presence of the Redemptorists was an attempt to “follow the footsteps of the Americans who had come here, in a very difficult reality” that led them to call the Amazonia “the green hell”. Father Ronaldo insists that “in spite of this, they wanted to stay, because what they wanted was to communicate the abundance of God’s gifts to the people, getting used to the language, food and local customs little by little”. 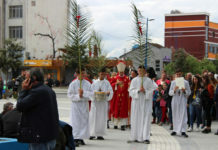 The Vice-Provincial emphasizes that “when the first missionaries arrived, they went to live in people’s houses”, therefore “celebrating the memory of the 75 years is to dream of the continuity of all this, to fascinate the youth of today, so that they can follow the example of those men who left everything in the United States and came here”. 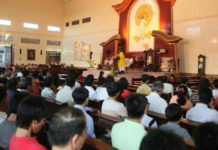 From this perspective, Father Ronaldo told that “it is very difficult to convince today’s youth, here in our region, that they too can be missionaries, carry out the mission of their baptism among the people”, and concludes that the future continues by gathering strength, creating communion and seeing horizons.